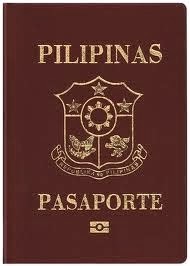 Here is what I did for our passport renewal. 2. Click on "Set an Appointment"
4.Fill out the application form completely. Wait for the e-mail confirmation, print the application form and then wait for your appointment date. 5. On your appointment date, make sure to be there early. Ours was at 4:00 PM but we were there before 3pm, we were allowed to enter at around 3 pm I guess and we were done before 4 PM :) There's no long lines because there are many windows/tellers and they are quite fast. You will not also get lost/confused on the process because the labels/signage are very clear. Good job DFA!!! Every country has their own way to do passports. Yours looks pretty straightforward. Go na Abelle!! get passport na, it's easier now than before.